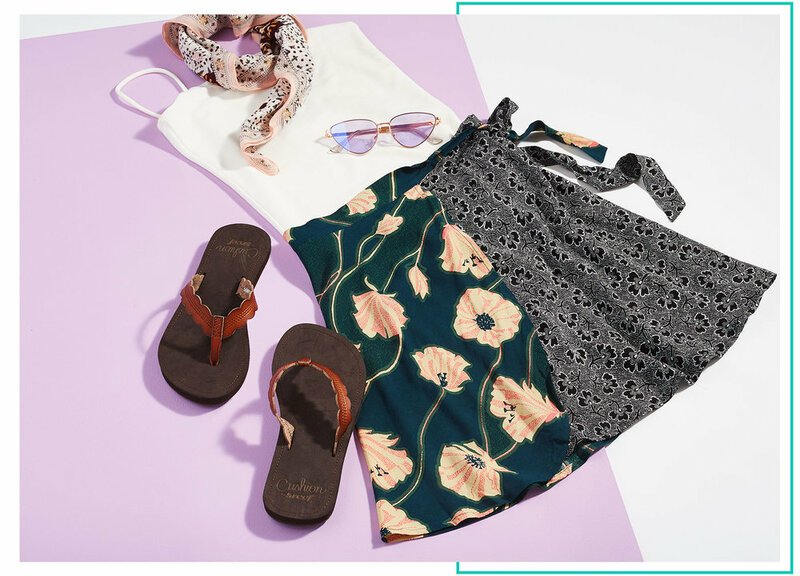 Flip-flops are the quintessential summer shoe. Dress ‘em up or down! So easy to wear to the beach or a party or running errands -- they’re perfect for any summer day! It's simply pretty and a summer favorite, the Reef Celine women's sandal features scalloped edges with a comfortable flip-flop construction. When your feet meet Sanuk yoga mat footbeds, it’ll be love at first touch. Squishy comfort + super soft straps = a match made in heaven. 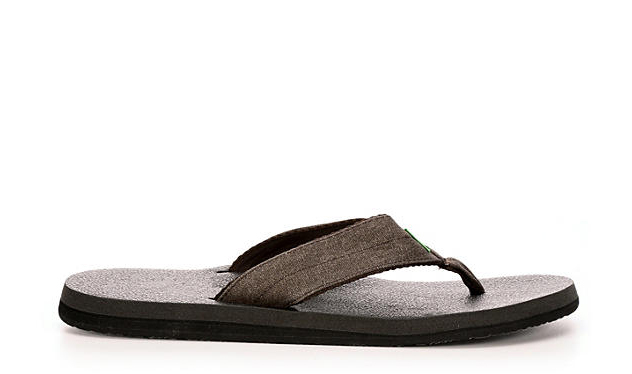 Find your zen in the Sanuk Yoga Sling 2 women's sandal. 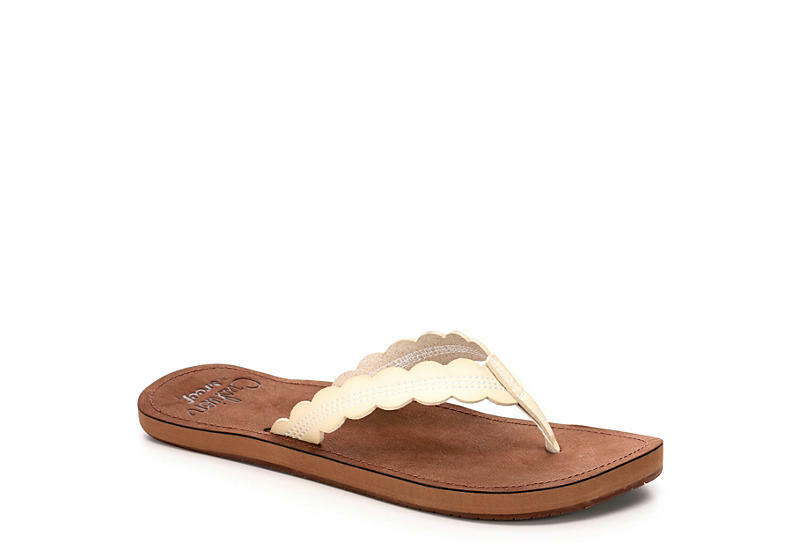 This comfortable silhouette features soft stretch fabric with knotted thong strap. A sealed footbed is made from real yogo mat and features a durable Happy Ü sponge rubber sole. You'll be ready for warm weather in the Nickie women's sandal by Eva & Zoe. It boasts a fabric upper with a criss-crossing vamp and adjustable ankle strap. It's finished with a cork layered wedge and platform. Head out on the town in cork wedge heels. Denim stripe straps add a summer vibe to any outfit. Flirty and feminine, this look will turn heads wherever you go! Shorts, tees and Sanuk sandals: the perfect combination for guys who are big on comfort. This laid back style is bound to be his go-to look for summer. 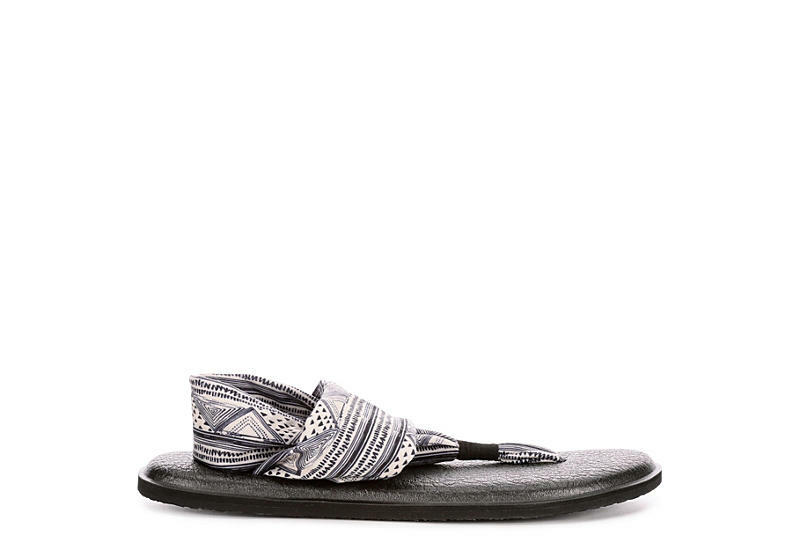 Get ready for summer fun with Beer Cozy Coaster TX men's flip flops from Sanuk. Real yoga mat cushioned footbeds and non-slip grip will keep every step comfortable and secure.